Make sure to update the following EDT properties of Name and Txt fields on the table. In SSRS Reports, you can easily make use of running totals on every page of your report. 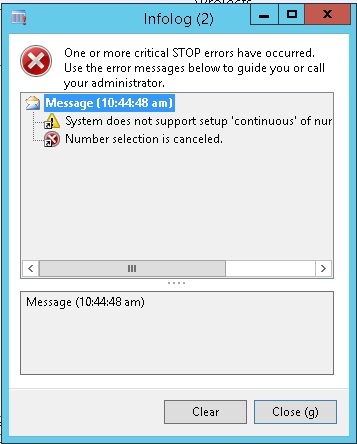 SQL Server Reporting Service does not have a standard functionality for this. Here I will explain how you can implement running totals in your report. Select in the 4th column the detail row. Select Text Box Properties and change the name of the textbox to ‘RunningTotal’. Solution of the title is very very simple. Generate the Full Cil then check it out. You often open a dialog or drop dialog when you are working with another form. As a result, you might want to refresh the parent form after you finish the action on the dialog or drop dialog form. However, not every dialog form requires that you update the calling form. Typically, you refresh the parent form when the information that you provide in the dialog form appears on that form. To refresh a parent form,you must write your code in Child form by Override method CloseOk and write the below code. // Get an instance of the calling form. // If the caller is a form, refresh that form. Today I came with new issue in AX Report. Few days back my report was working fine. But today it showed me something weird information while opening the report.